Seven more days, seven more paintings. Okay, I will admit I skipped painting one day and doubled up the next. The day I skipped was the day I finally dragged myself to a doctor and got some antibiotics. I was tired after all that running around and I just decided not to push it. It was the right decision. The next day I painted two paintings with no problem. 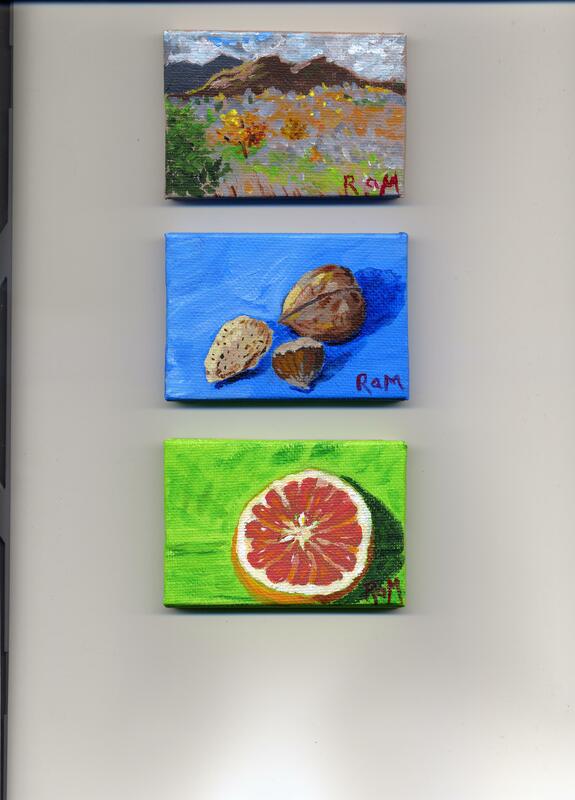 All of this week’s paintings are itty bitty paintings. I was still feeling unwell and I didn’t want to bite off more than I could chew. 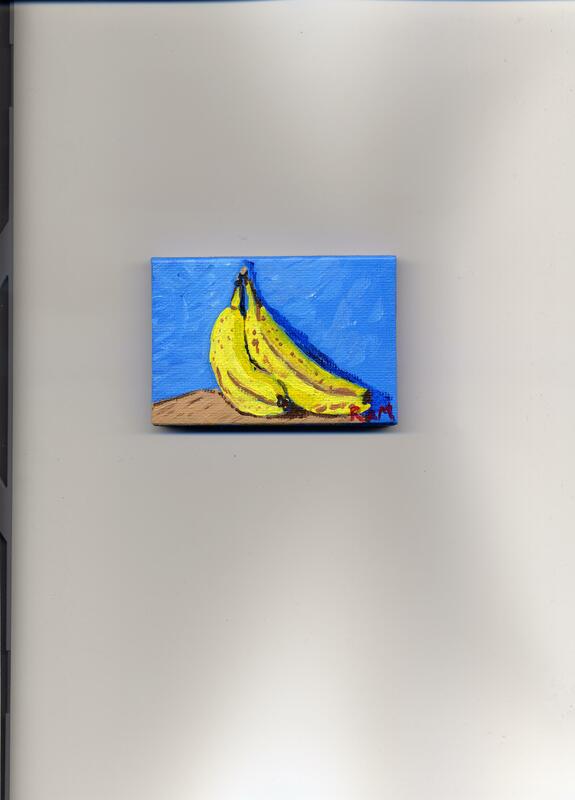 I knew I could handle tiny canvases without committing too much time to the project every day. 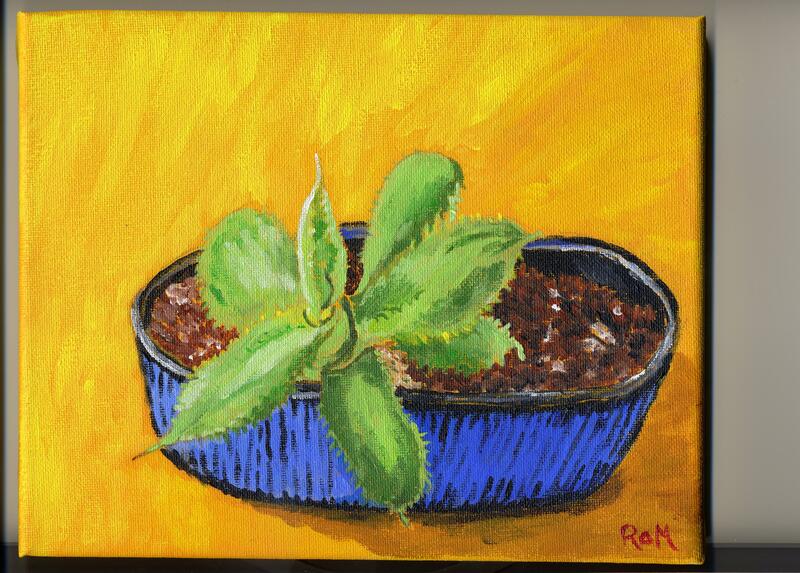 I need to get braver in the next ten days or I need to go shopping for more itty bitty canvases. I’m starting to run low. 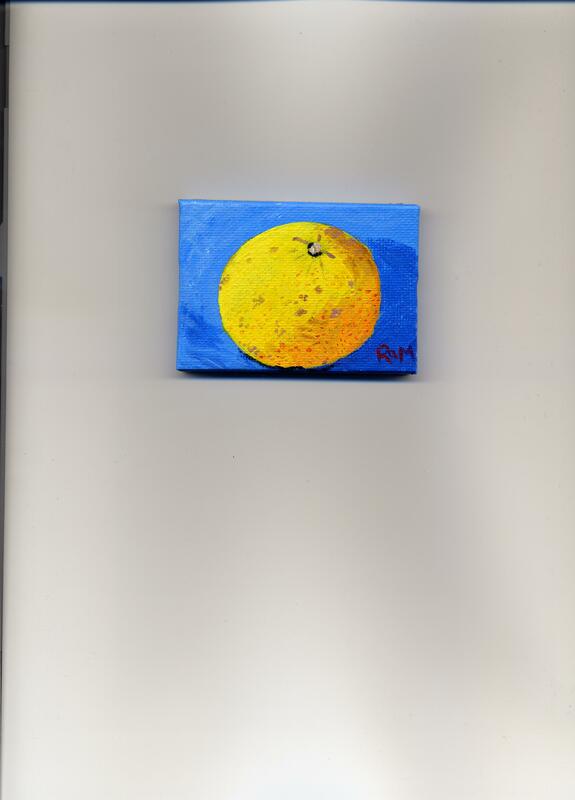 Almost all of my new paintings are fruits and vegetables. 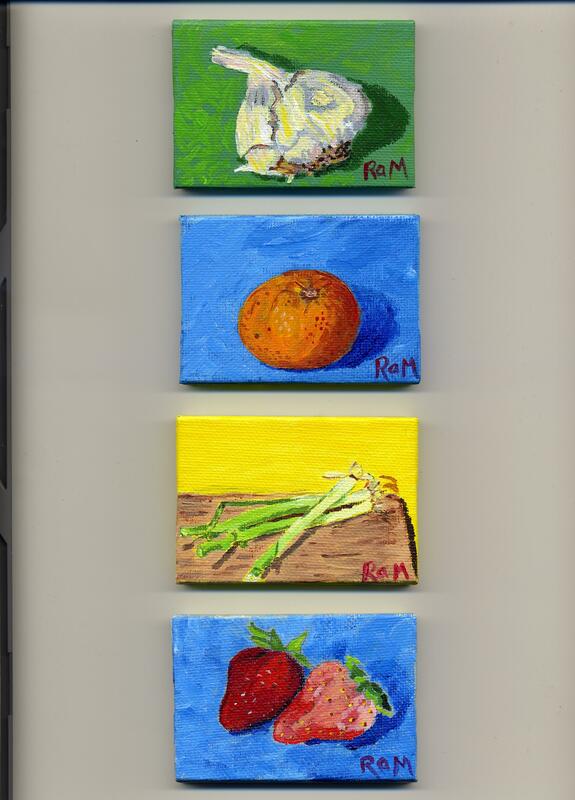 I painted a bulb of garlic, a small tangerine, some green onions on a cutting board and a couple of strawberries. The next day was my doctor day and the day after that, I painted two paintings. One is a painting of some nuts I borrowed from my husband. He’s been enjoying mixed nuts since the grocery store marked them down after Christmas. I put them back in the nut dish when I was finished, so I don’t think he missed them. The other painting I did that day was a tiny landscape. I based it on a photograph I took when I was in North Carolina last October. I don’t think the location is recognizable, so I will just tell you that it’s Graveyard Fields, one of my favorite spots on the Blue Ridge Parkway. I know there are a lot of problems with this landscape, but there is something I like about it – that little bit of blue sky peeking through the clouds above the mountains. I like that piece of blue sky. Today, I found half of an orange in the refrigerator. I think it might be a blood orange; the flesh is definitely dark pinkish red. It was wrapped in plastic wrap, which I removed while I was painting it. I couldn’t help thinking of that commercial that used to come on when I was young. It was an ad for plastic wrap, and the wife came in and saw the husband painting a still life of cut fruits and screamed, “Oh, the honeydew!” Plastic wrap saved the day. I am old. Some of my contemporaries will remember this commercial; the rest of you won’t have any idea what I am talking about. The husband probably should have checked with his wife before he cut the honeydew. The orange I found in the refrigerator was already cut, so I won’t be in trouble with my husband. I didn’t get paint on it or anything. I wrapped it back up in plastic wrap and I put it back in the refrigerator. I’m sure it’s just fine. I managed seven paintings this week and I’m happy. Forty down, ten to go. I’m getting close! This entry was posted in Uncategorized and tagged Tiny Paintings on January 28, 2015 by releaf1954. Okay, kiddies, here’s a cautionary tale for you. It’s all about that bugaboo, procrastination. I set myself a very reasonable goal for this blog year – to paint fifty paintings. Fewer than one per week – easy peasy. Yes, easy peasy, if you actually do one per week. If you do thirty of them and then put your paints away for six weeks so you can host holiday gatherings in your dining room, it should still be a doable thing. Plenty of people in this world do a painting every day, right? Easy peasy. Unless you happen to get sick in the last month of your blog year. I don’t want to paint right now. I want to get rid of this cough. I thought I would be posting about painting this week. Nope. I’m posting about soup. Brodo, to be specific. 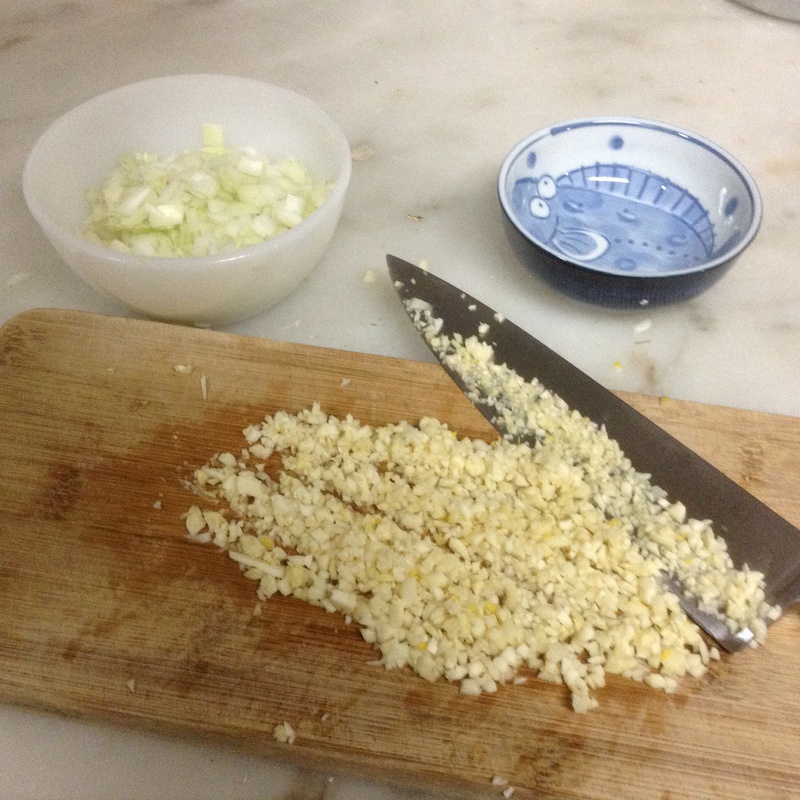 My friend, Jack, gave me this recipe, which calls for eight cloves of minced garlic. Yes, you read that right – eight cloves. That’s a lot of garlic. This soup tastes wonderful and it’s what I crave when I am not feeling well. Jack (okay, that’s not his real name; he’s a very private person. He wouldn’t want me to blast his real name all over the internet – yeah, as if I have that much of a following, right? Still, he’s a good friend and he gave me a great recipe, so I will honor his wishes) uses chicken broth in this recipe, but Jack is not a vegetarian. 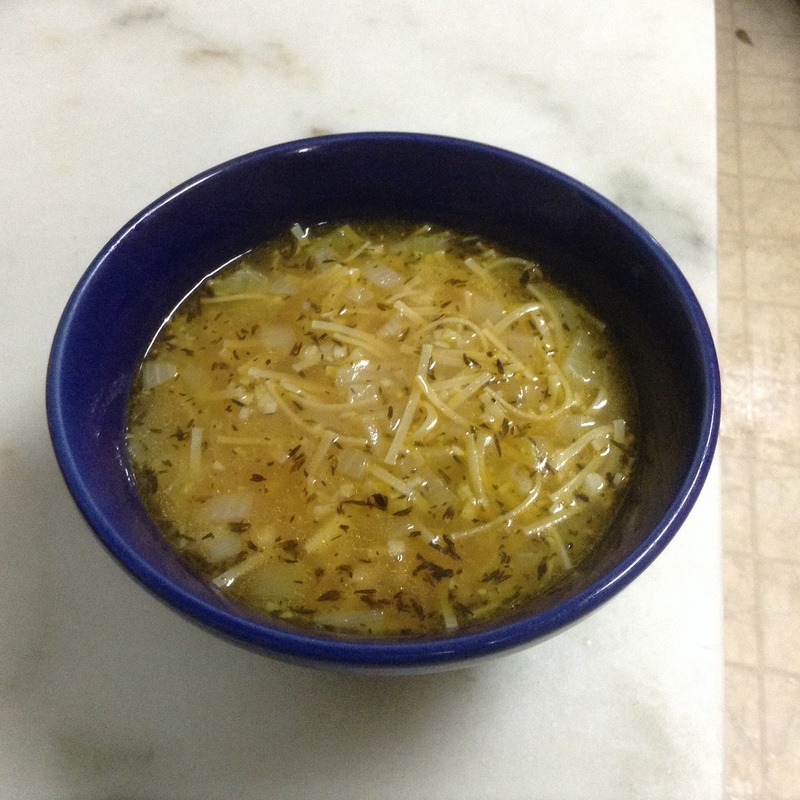 I am, so I substitute vegetable broth. Feel free to use whichever one suits your eating style. Heat oil. Put thyme into hot oil and start sauteing. Add onions and garlic. Saute until onions are transparent but not brown. Add stock and bring to a boil. Add noodles and boil three minutes. Add salt and pepper to taste. Serves two hungry people. I usually share it with my husband and still have leftovers for my next day’s lunch. I’m eating this soup as I’m typing this and I feel better already. It’s not pretty, but it’s light and healthy and delicious. Just what I needed. This entry was posted in Uncategorized and tagged brodo, garlic, onions, painting, procrastination, soup on January 14, 2015 by releaf1954.